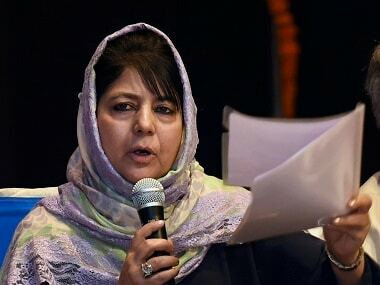 Shoots of peace are “sprouting” in the terrorism-hit state of Jammu and Kashmir and the government is now working towards ensuring that the people in the state can be uplifted with dignity, state Chief Minister Mehbooba Mufti has said. In an interview on Monday night, the 58-year-old chief minister welcomed recent attempts by the Centre and the ruling party to reach out to Kashmiris, starting with Prime Minister Narendra Modi’s Independence Day speech where he asked the countrymen to embrace Kashmiris. This was followed by Union Home Minister Rajnath Singh’s statement that the Centre is willing to hold talks with all stakeholders, and BJP leader Ram Madhav saying talks can be held with anyone. In his "Mann ki Baat" speech on Sunday, Modi also praised a poor Kashmiri youth, Bilal Dar, for his attempt to clean up a lake, which became front page news in Kashmir and heavily discussed on social media. 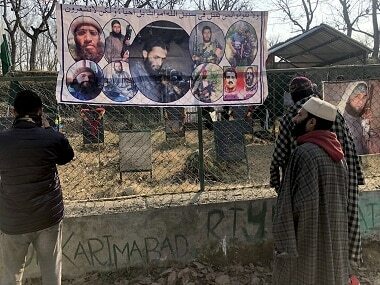 "These are welcome signs" in Kashmir Valley where people are eagerly waiting for peace to return, the chief minister said. "The shoots of peace have started sprouting. They have to be watered and fertilized, and I am sure that the fruits of peace will follow," she said in the interview at her home, with a large portrait of her father, Mufti Mohammad Sayeed, in the background. Mehbooba succeeded him as the chief minister a few months after his death in January 2016. 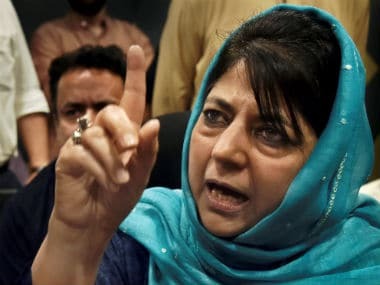 Mehbooba, whose PDP is in an alliance with the BJP in the state, blamed the electronic media for making even minor incidents of violence into national events, portraying Kashmir as a region in perpetual flames. She said the high-pitched debates that follow end up vilifying Kashmiris. This in turn alienates Kashmiris against the rest of the country, and the country against Kashmir, which has a direct impact on tourism, the mainstay of the economy. Mehbooba, who is also the tourism minister, gets a report on tourist arrivals every evening, and the figures are grim – arrivals have now fallen to 4,000-5,000 daily from a peak of 10,000-12,000. Most hotels and houseboats are empty, taxi companies have virtually no business and shops are shut. "You talk about the 200 militants but don’t talk about the thousands of Kashmiris in the Indian Army,” she said. But she did not deny that there is a sense of alienation among Kashmiri youth, and even children as young as eight, because of severe security crackdowns that follow stone pelting incidents. However, the recent statements from highest level are an opportunity to build peace and give Kashmiris back their dignity, Mehbooba said. 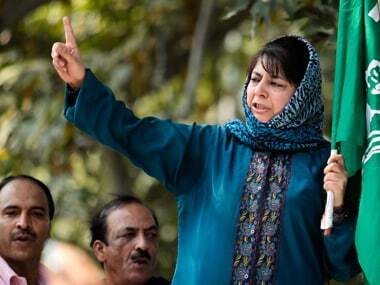 "All that is required now is to hold their (people of Kashmir) fingers with dignity intact," she said. 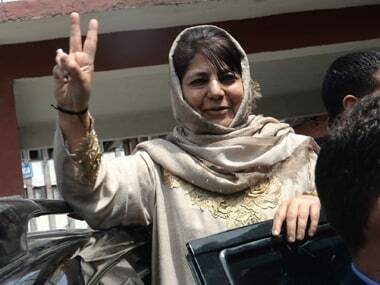 Mehbooba, who is the first woman chief minister of the restive border state, said her government is in favour of holding talks with everyone as has been enshrined in the Agenda of Alliance between the PDP and the BJP. She indicated that she is in favour of the peace talks strategy employed by the Vajpayee government in the early 2000s when Kashmiri separatist leaders were allowed to talk to Pakistan as part of peace building efforts, while New Delhi and Islamabad were also simultaneously engaged. "There is a need to take the bull by its horns and finding a way out for bringing in a 'permanent' peace in the state," she said, adding that she is in regular contact with Home Minister Rajnath Singh, whom she described as "very supportive". She noted that Ram Madhav, the BJP general secretary, also has a clear understanding of Kashmir and has been extremely supportive of the alliance government. "I am sure together, we will be able to steer the state to new heights." Mehbooba said Modi’s singling out 18-year-old Bilal Dar in "Mann Ki Baat" had sent a wave of pride among the young residents of the Valley. "These steps have a tremendous impact on the psyche of the younger generation and their hope for recognition at national level is rekindled. They are not seen or labelled as mere stone pelters," she said. Seventeen months into office, Mehbooba also feels that talks between India and Pakistan should begin at the earliest but she holds Islamabad responsible for the present tension. "The Prime Minister made a wonderful gesture by stopping at Islamabad and meeting the then Prime Minister Nawaz Sharif. But what happened after that? It was followed by attack at Pathankot and increased terror activities in the state," she said. "However, there is a need to bring Pakistan to the negotiating table once again. After all, the relations between India and Pakistan have a direct bearing on Jammu and Kashmir...Smooth relations between the two countries have always seen better life for people in the state," she said. The chief minister blamed the Congress-led UPA for not carrying forwarding the "gains" from the peace process of the Vajpayee-era. "I mean they were there for 10 years but could not make any headway. It was an opportunity that was never cashed in by them," she said.